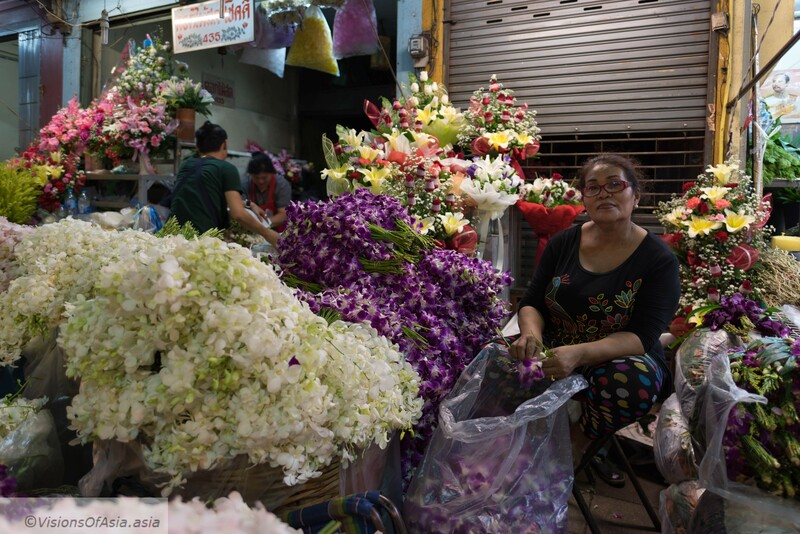 July 12, 2018 VoAadmin Bangkok, Culture, Editorial, Photography, Street photography, ThailandTagged Bangkok, cosmopolitan, foreigners, Thailand, thainess, Tham LuangLeave a Comment on Bangkok, a cosmopolitan city? 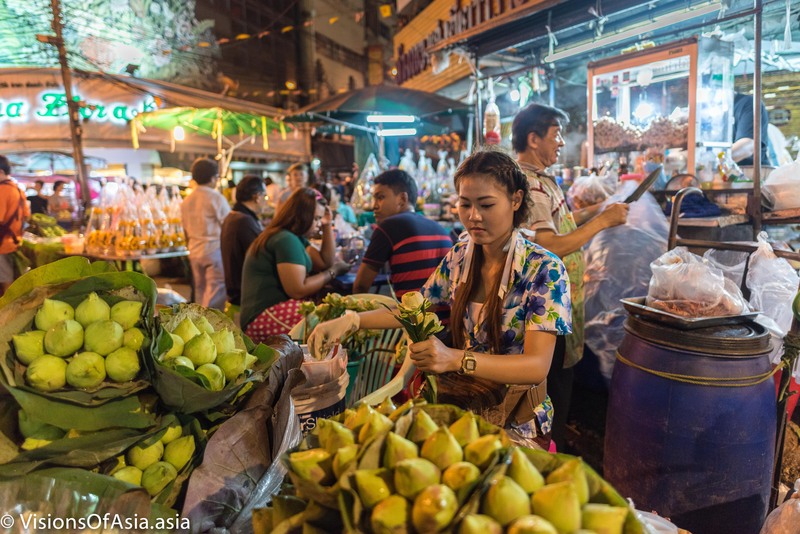 Bangkok is at the crossroads of Asia and the Western world. 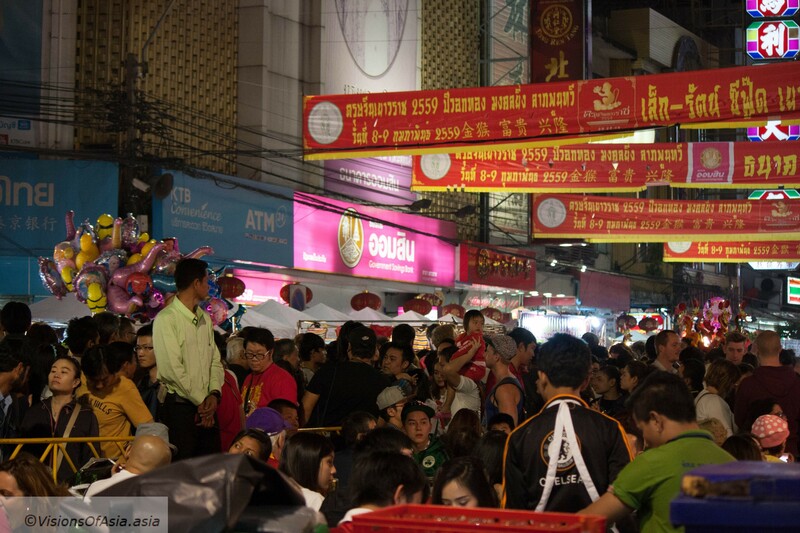 As such, you would think that Bangkok would be the most cosmopolitan city in the world. 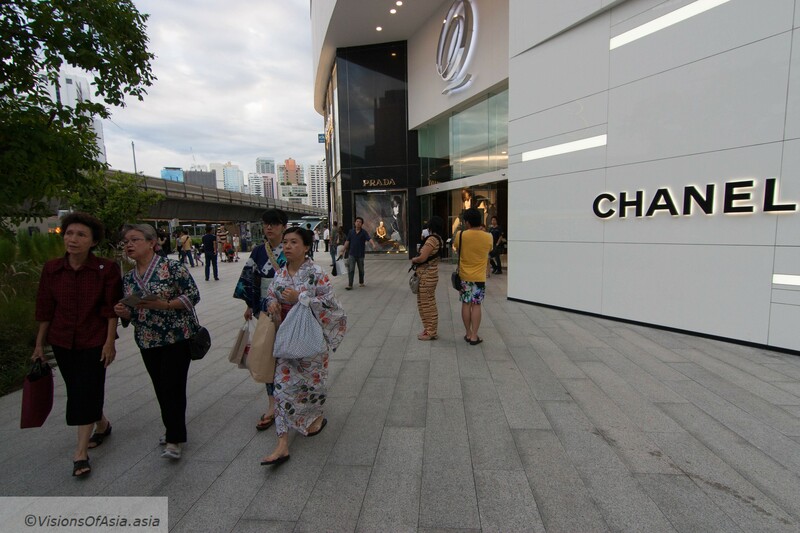 Pictures such as those of local Japanese residents shopping in kimono and walking besides Thai locals would understandably make someone believe so. An inconvenient truth for many Thais, is that their country has become quite dependent on foreigners, either foreign companies and foreign tourists. For a country always proud of boasting they were never colonized , this can be an insufferable truth. 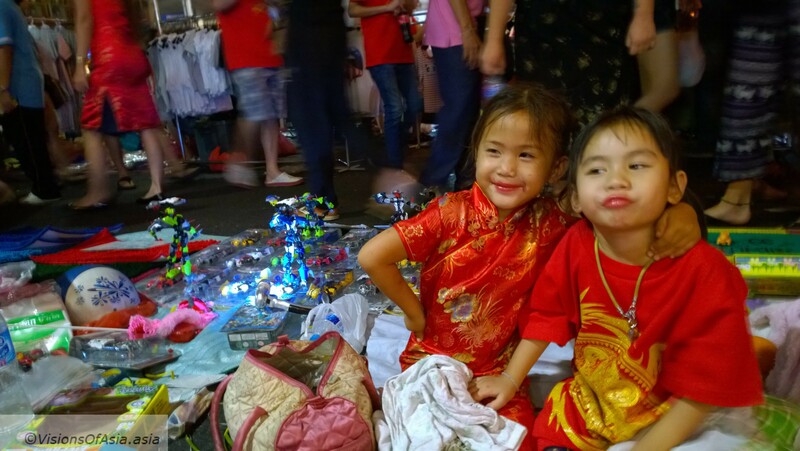 Because Thailand’s economy is mainly based on production for export and because the population has a pretty low skills level, a foreign presence in Thailand is very visible. Admittedly, with time, the situation is slowly changing, but the Thai education system is not helping. 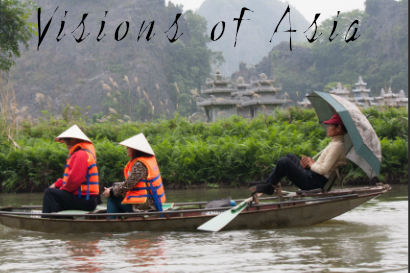 With the exposure to travels and to foreign marketing, even foreign culture can impregnate the country (although mostly from fellow Asian nations). A sizable foreign population come in for teaching and to support business of foreign companies, in leadership roles. 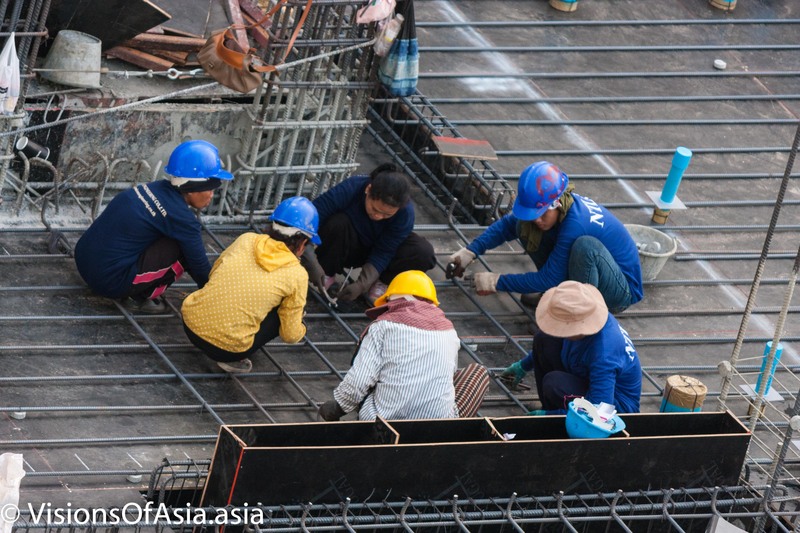 A less fortunate population of neighboring countries (mainly Burma and Cambodia) is more often called to work in menial or manual labor (and their condition is truly not enviable). 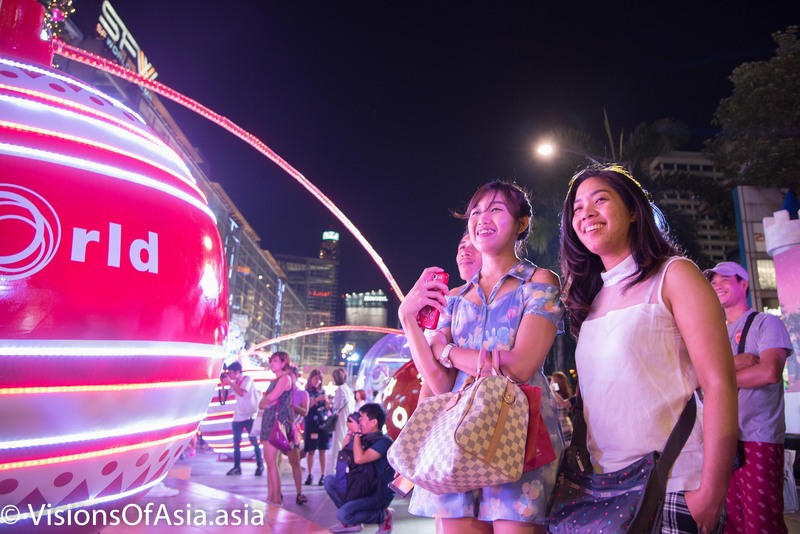 Nevertheless, the cosmopolitan impression of Bangkok is soon lost. Foreign residents, just like tourists, are always seen as an external body to the country, who are never bound to stay. The whole legal framework and practice around foreigners is so created as to discourage foreigners from staying or from ever being part of the population. 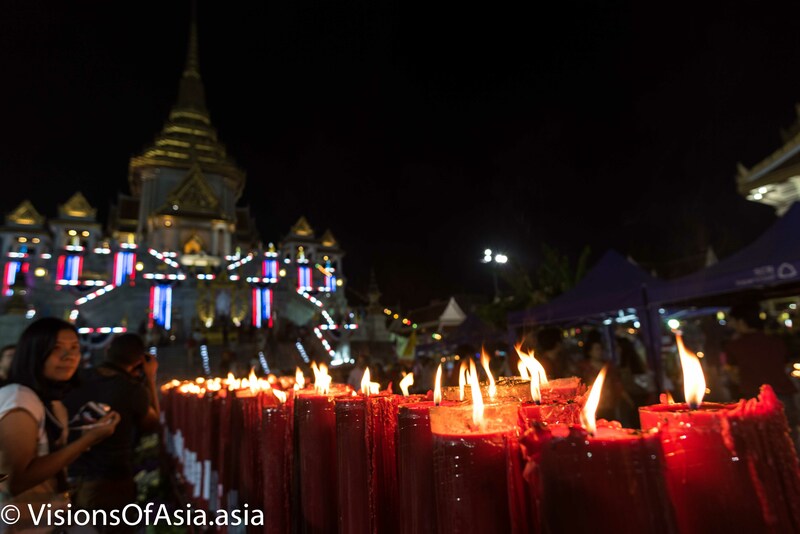 The visibility of this foreign presence often irks the more nationalist Thais. Thais take some pride in thinking they are independent from foreign influence and don’t need foreigners. Police and immigration also considers roughly all foreigners as would-be criminals. This practice translates in the Thai laws, which have installed some pretty irksome processes such as the obligation for foreign residents of Thailand to present their passports every 90 days at the immigration if they don’t exit the country in the meantime. The whole process makes no sense for people with dependent or business visas except as a vexatory reminder that they are just there on a provisional basis. Never mind if they have a business visa. Nationalism will not stop at the administration. 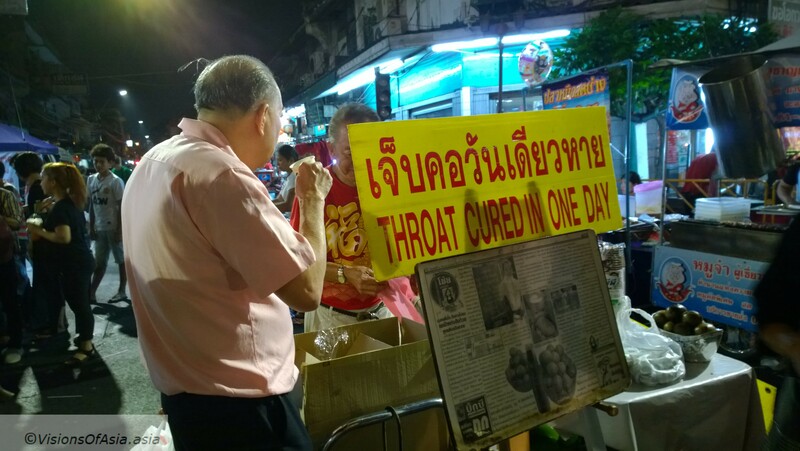 Some Thais can be so convinced of knowing better on local matters, that they will (at least in my experience) always try to do things their way (and often the wrong way!) just to prove they can take care of Thai affairs by themselves. Logic and common sense often lacks and explains why a foreign presence is required. Often, this is justified by saying that foreigners cannot understand “thainess”. 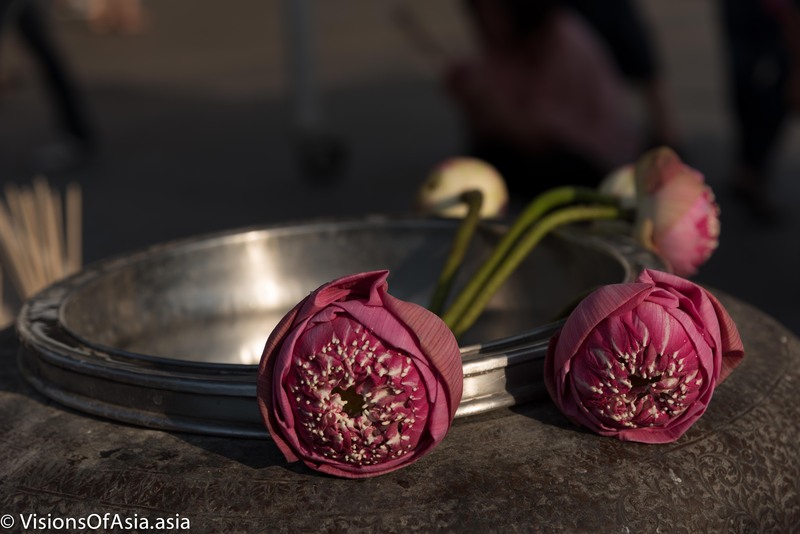 A central question is that of “Thainess”. Put shortly, “thainess” is an excuse Thais use to justify any behavior or practice they cannot rationally justify even to themselves. Thainess among other myths, also builds on the idea of a global centralized idea of a nation, which is only very recent in historical terms. Many ethnic minorities and tribes are being force-fed into the Thai mold and obliged to abandon their identity. Interestingly, the case of the 13 youth rescued from a cave shows that the society might be slowly evolving as many of the kids are stateless. 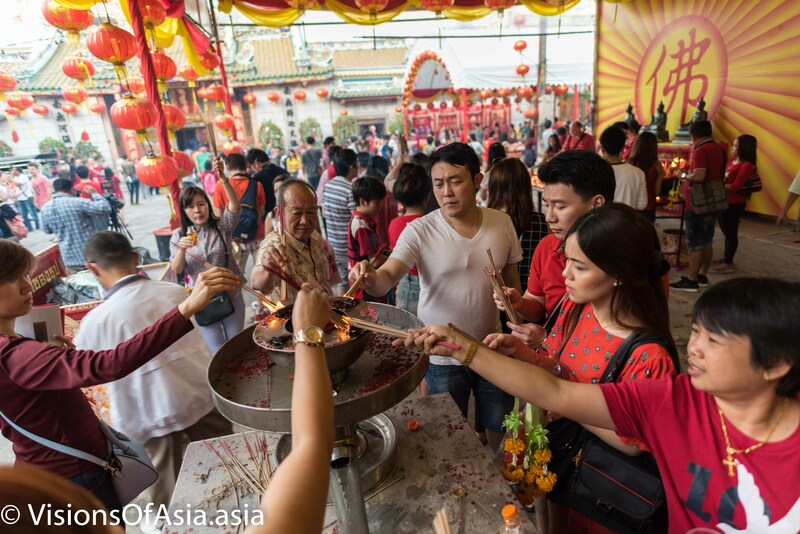 Dependence on Chinese tourism has increased tenfold the last few years, but to some degree, this is not so alien for Thais, as a sizeable part of the elites are Thai-chinese. Foreign cooperation is however vital for Thailand. It was never more acutely shown than in the case of the rescue of the 13 kids of Tham Luang caves. In that case, basically the whole country rooted for the kids, regardless of their origin or nationality. Somehow, even the army and Thai medias conscripted them as “Thais”. The big question now is whether the kids will ever get a Thai passport and once the media attention is gone, the focus on their ordeal will probably be also gone. At any rate, despite its initial focus on nationalism, the Thai Junta has pursued a policy which is more of appeasing tensions and addressing real issues. There have even been some small attempt at making the country more welcoming to foreigners. So, is Bangkok a cosmopolitan city? 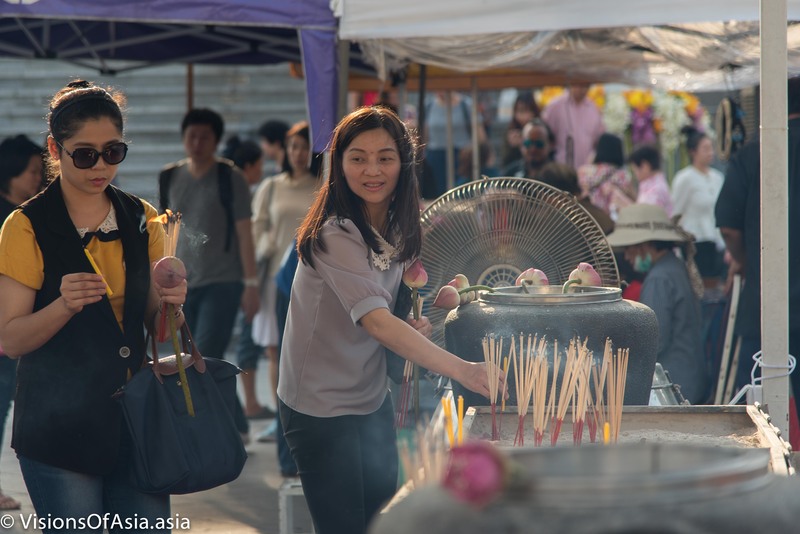 Somehow, and despite the desire of the Thais, themselves, it is a huge hotch-potch of different cultures and populations with different cultures. 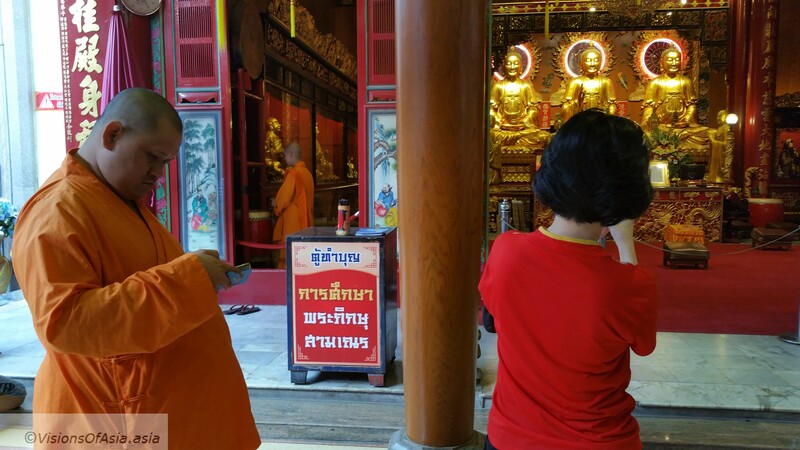 While it is often talked about “tolerance” of Thais for the weird behavior of some foreign tourists, such a tolerance is only skin deep. 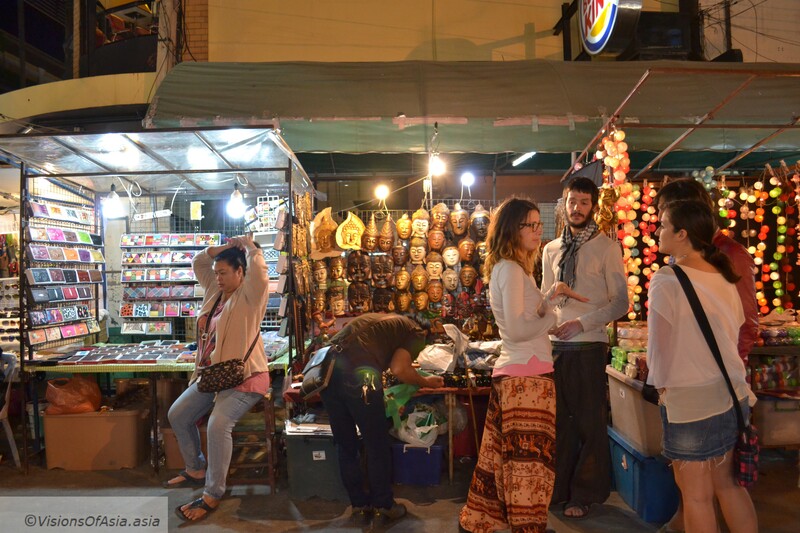 Deep below, there is a huge feeling of misunderstanding between Thais and foreigners. Just like the reputed “Thai smile”, “tolerance” is only in appearance and only as long as it is linked to a source of money for the Thais. 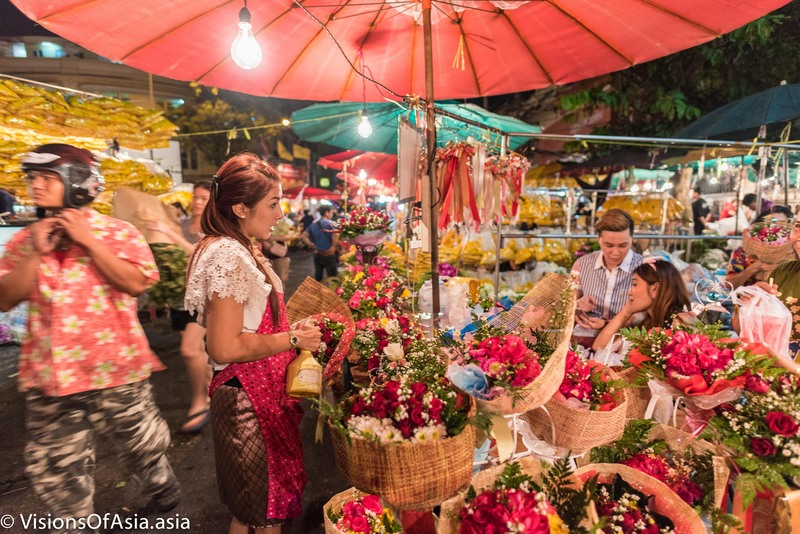 Bangkok may look cosmopolitan because of the various populations that cross themselves in the city, but it is not a place where cultures intermingle and enrich each other. 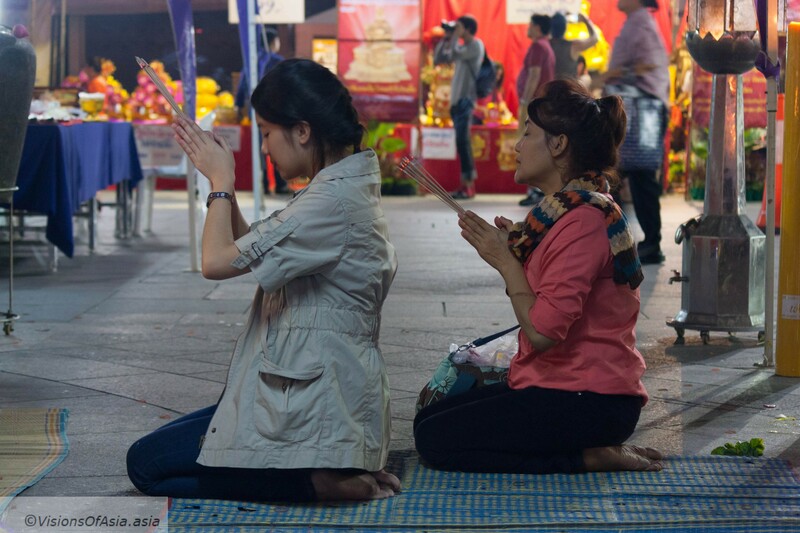 Thais stay in their own “Thainess”, foreigners stay among themselves, and both populations live aside, but never really assimilate or influence each other. 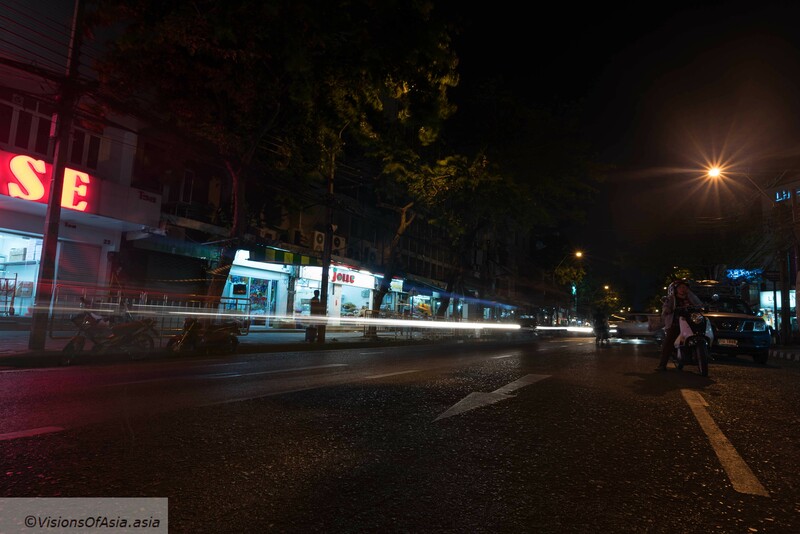 This project started when I was living in Bangkok, in the posh area of Thonglor at soi 17. 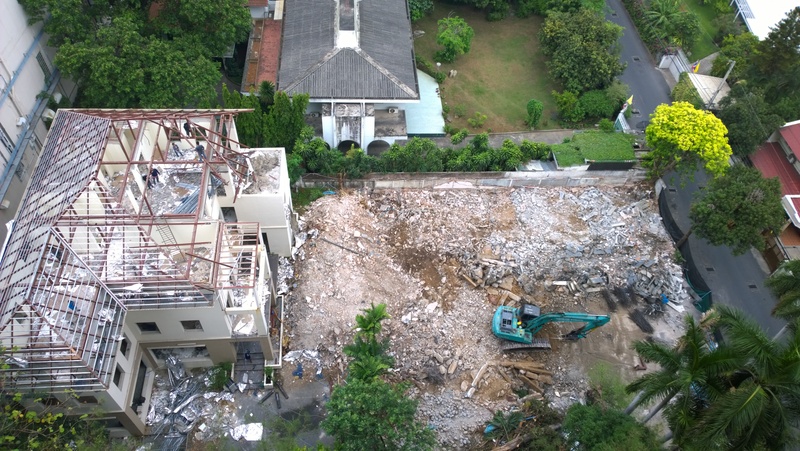 Just next door to my condo, in 2013, they started destroying an old house to make way for a new construction. As I had an unparalleled view from above, I decided to follow the progress of the construction. The original was to make it a sort of timelapse of the changes on the construction site, but with time, the real interest focused on the workers. 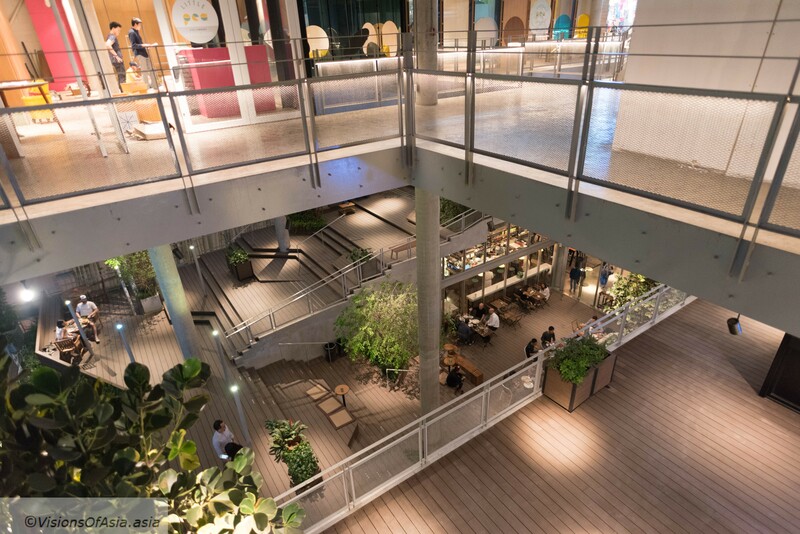 Then it became the story of how a mall was built, namely “the Commons” mall in Bangkok. 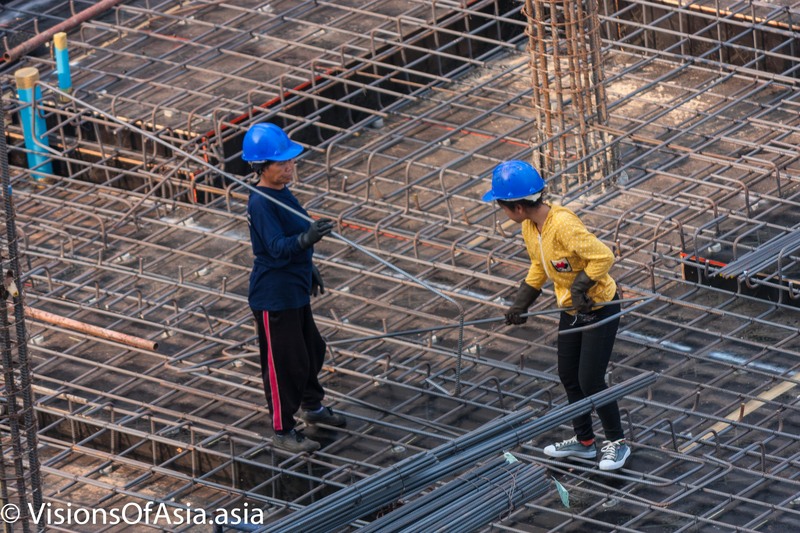 And more largely, a documentation of the working conditions on Thai construction sites and the workers along with the quirks and peculiarities of work in Thailand. 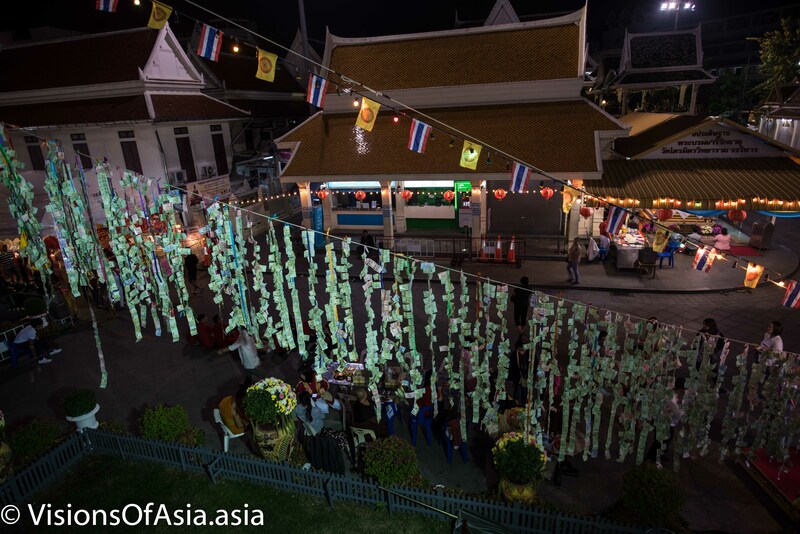 Thus, the project moved towards telling the story of those workers who have made possible the fast rise of Bangkok. In a way, it is also an ethnological study of a micro-society. 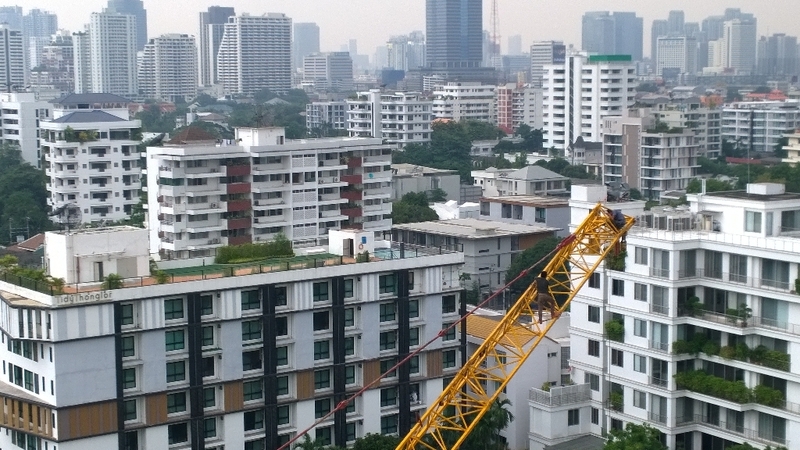 In Bangkok, in prime locations, new projects often start with destroying old buildings. The construction site of the Commons was no exception, as they destroyed an old restaurant that occupied two stories in the back of the land. Probably an inefficient use of space for such valuable land. 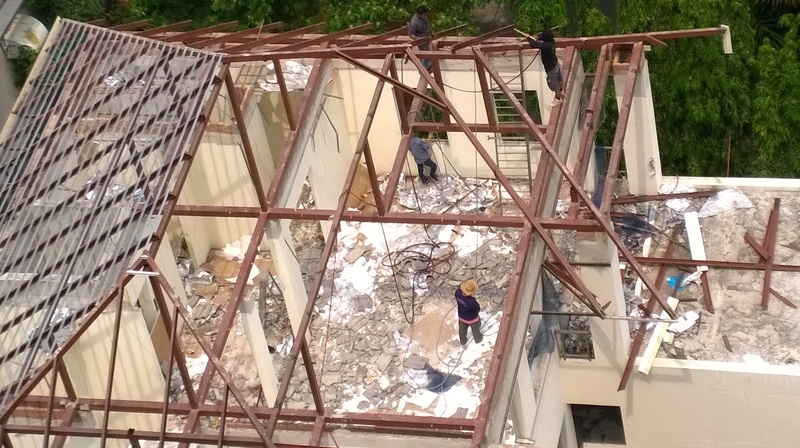 Workers climb on the roof to pull down the main beams. Of course, here most of the work was done by hand by workers with barely any protection against the hazards (no safety shoes, no helmets, if you notice the picture). The demolition work progressed quickly. Once the old house was torn apart and the rubble taken away, started the extensive work of laying the foundations. As a reminder, Bangkok is built on a former swamp, and the land is foundering by an average of 6 cms a year (huge by geological standards!). 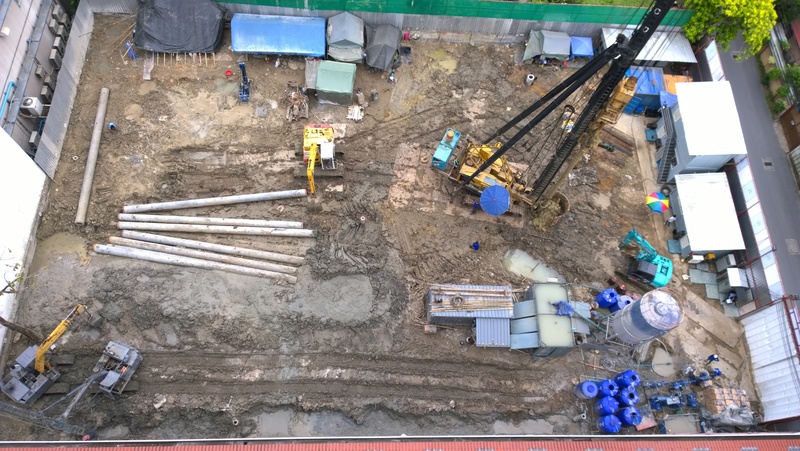 Hence, before building the main structure, the construction company kept on driving into the ground huge cement stilts to ensure the stability of the final construction. 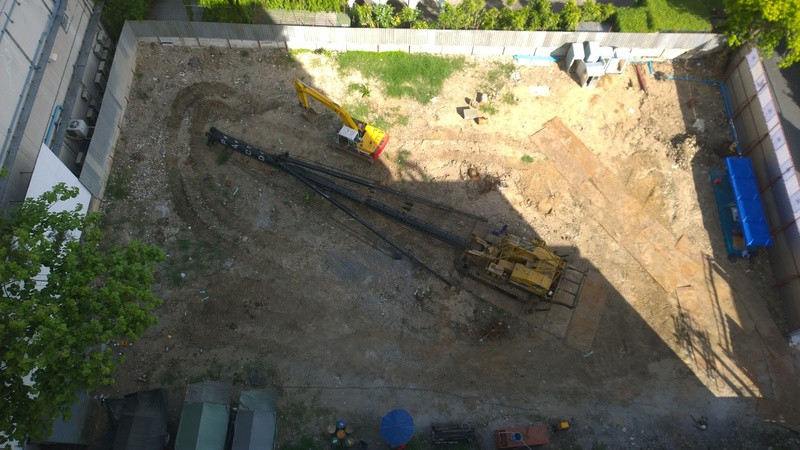 This machine is used to lay the foundations for the building. Here on day one, when it was not yet built up. The machine used to thump into the ground those huge cement rods. This alone took upwards of 4 months. This machine pushed down in the ground huge metallic rods to stabilize the foundations. 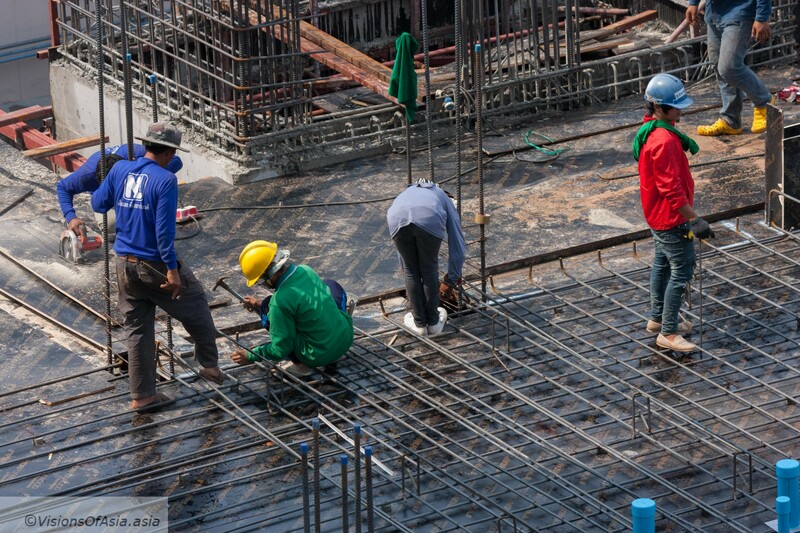 In a second stage, the workers started preparing the infrastructure for the construction work properly said. This involved mounting a crane. On that occasion, I had the utter surprise of seeing workers climbing up in the branches of a crane without any safety gear. 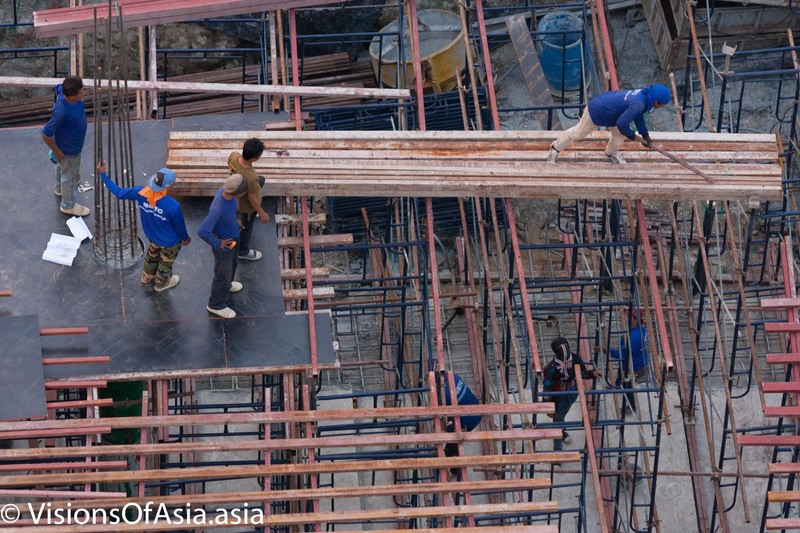 But this was only the start of an incredible few years witnessing how the Thai construction workers got their job done. 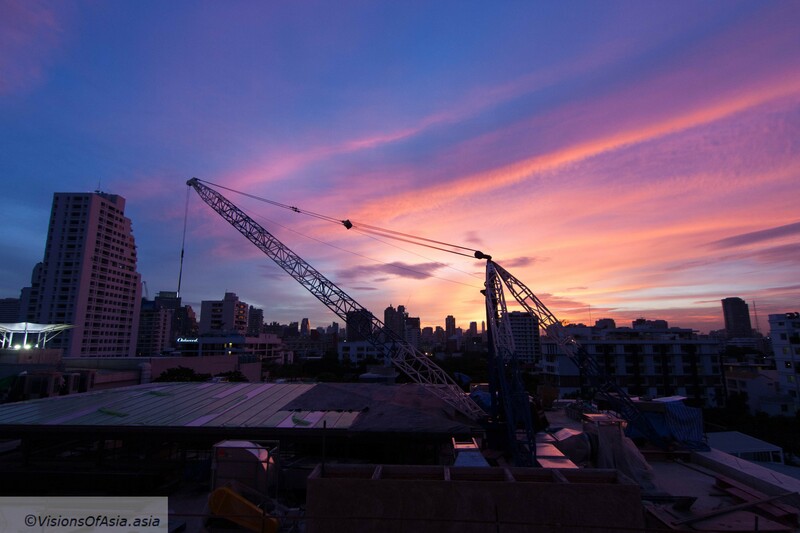 To build the crane, workers climb without any security. 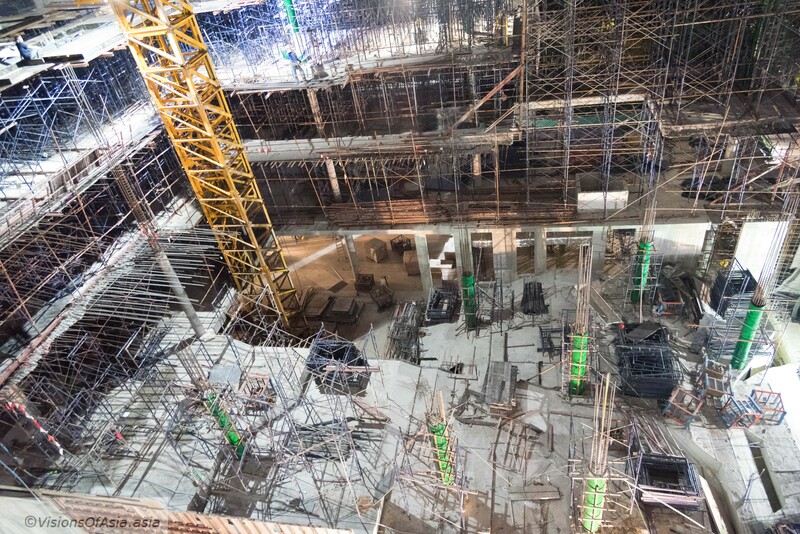 Once the foundations were laid, and a central cemented base was solidified, the central crane was used to lift all the heavy materials on the additional stories as they were being built. The first cement basis provided the basis for building the other floors. 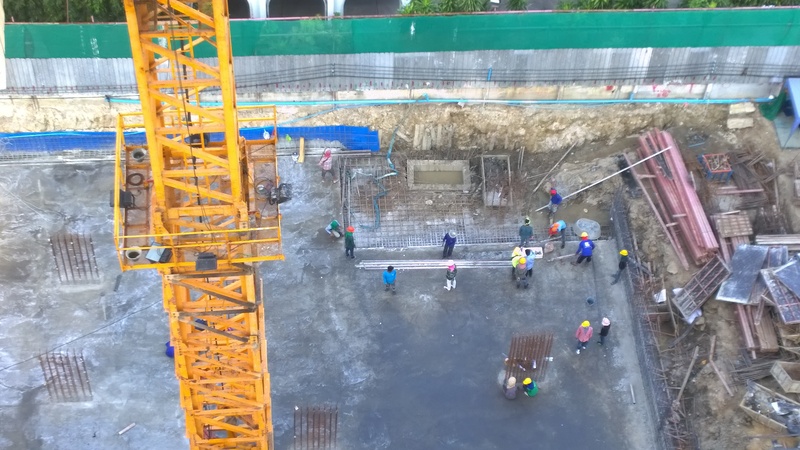 The building process required laying a layer of reinforced concrete then building columns and pouring another layer of reinforced concrete above. Strangely for a construction site, a lot of ladies worked there. 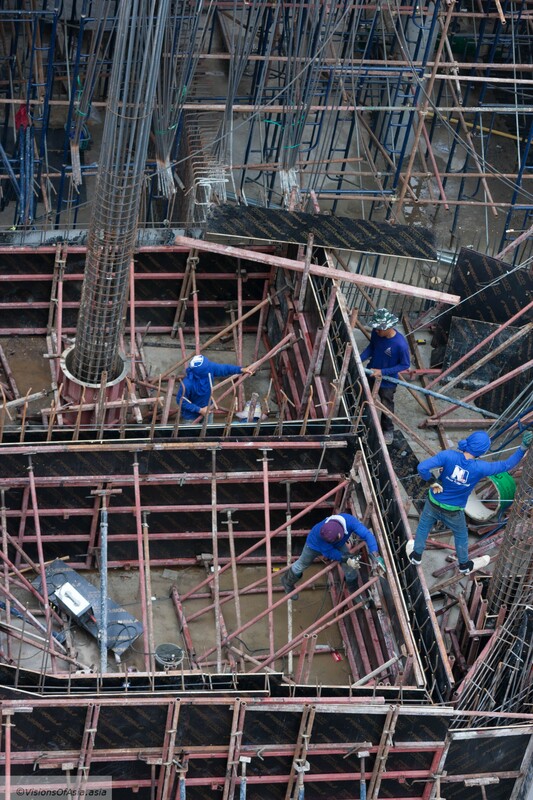 And despite the dust and the hard work, they never failed to try to be coquettish even on the construction site. Coquettish even on a construction site. This did not mean that the work was not hard, for ladies more than anyone. Workers unite to finish a portion of the armature. 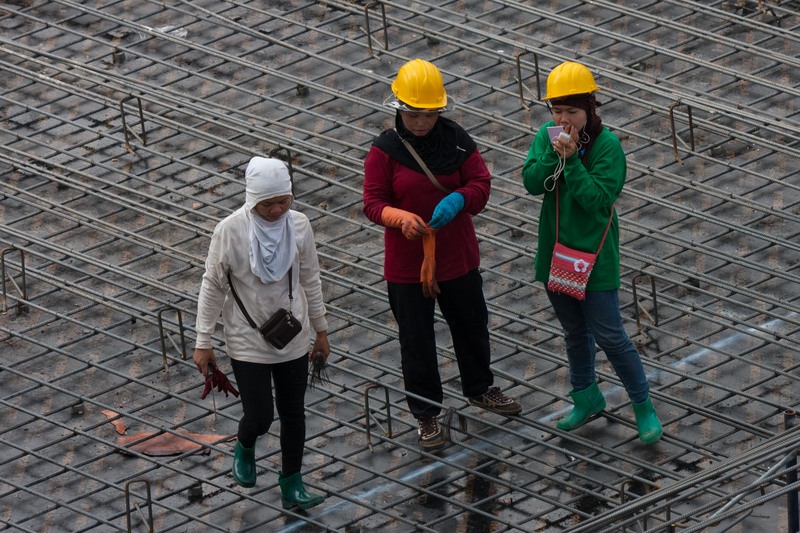 Ladies struggle with carrying metallic rods across the construction site. Often, this construction site offered quite quirky moments. 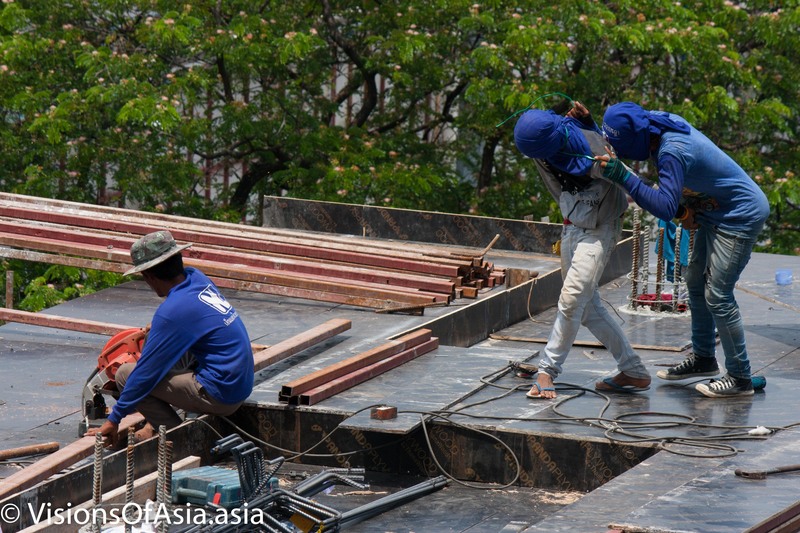 From a lady taking a rest in a hammock hung on the scaffolding… to guys playing in flip flops on a construction site. 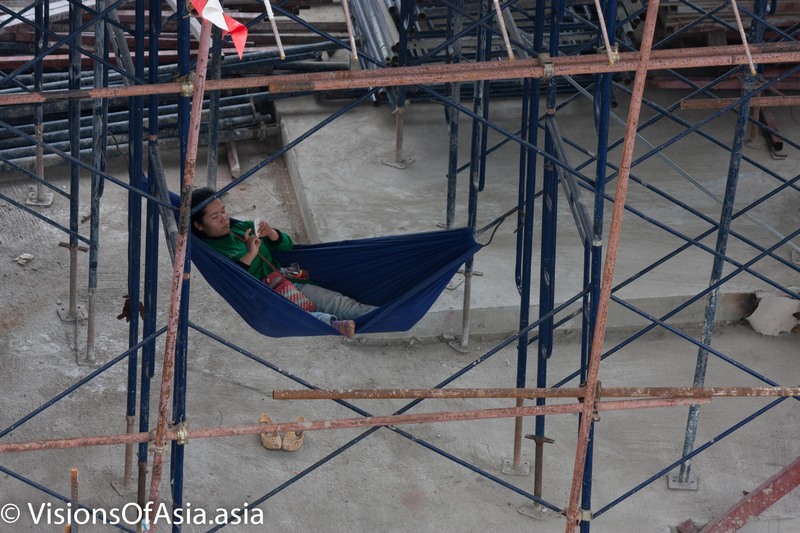 A worker hangs a hamac on the scaffolding to take a rest. Probably the most striking was the total lack of regard for safety. The workers often came working with flip flops, almost never wore a helmet and played in a very relaxed manner around other workers. Like in this case. Two workers in flip flops play while a third is using a circular saw to cut a piece of wood. A worker stands on the edge of the building as the day draws to a close. 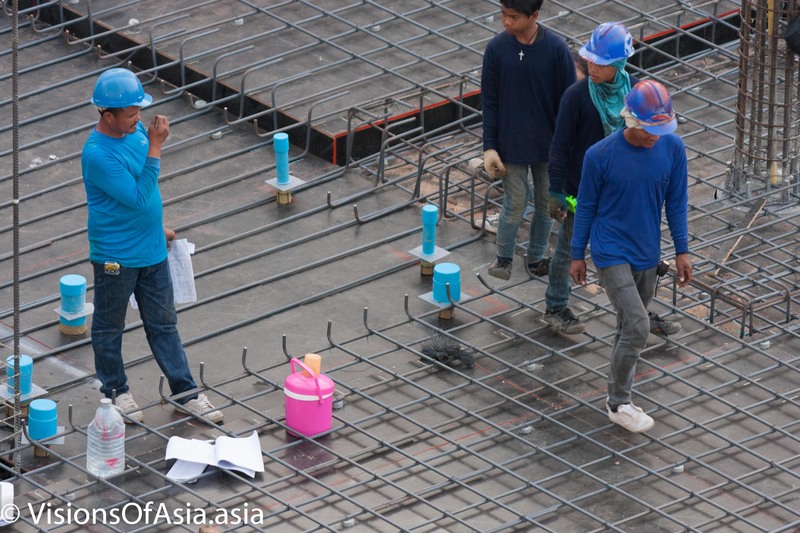 Probably, the most concerning part of the whole work was the fact that workers seemed to be completely ignorant of elementary safety rules on a construction site. Furthermore, most of them wandered on the working place either in flip-flops or without any safety gear such as helmets or protective shoes. 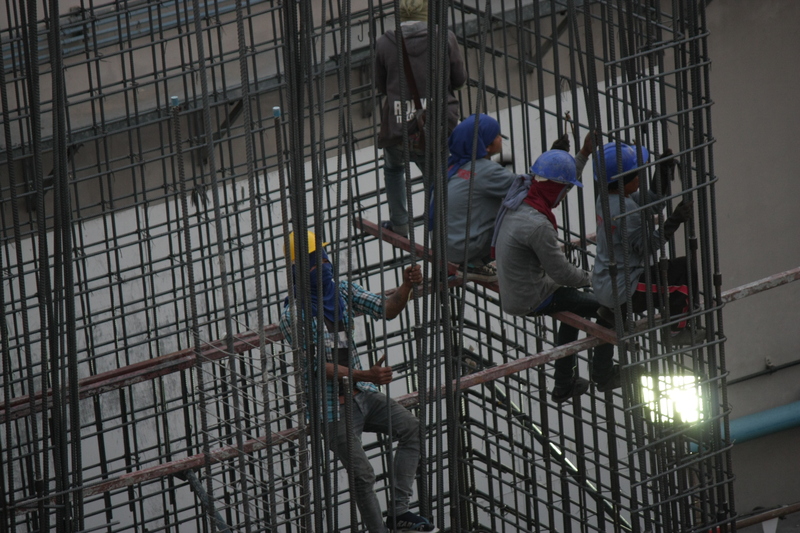 Safety not really a concern as these workers climb on unstable rods or work directly underneath. 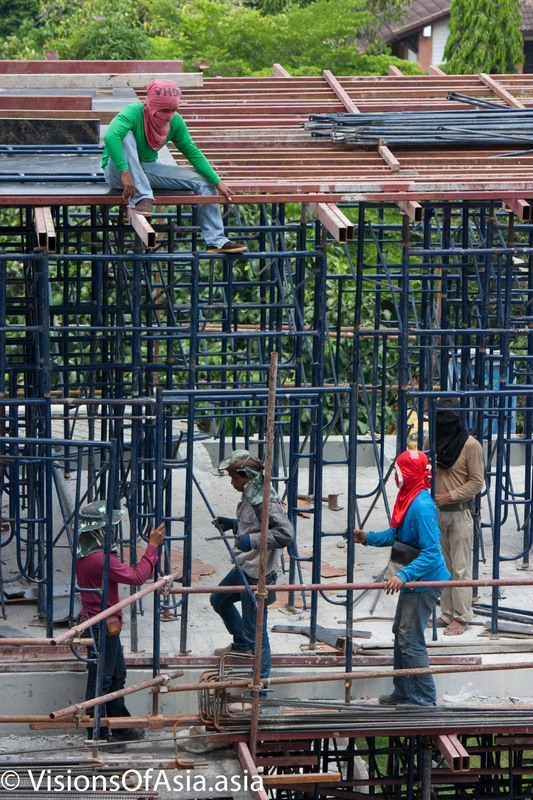 A flip-flop worker is holding a metal bar with his uncovered feet, while a fellow worker hammers by the side. The issue of electric shocks and elementary safety precautions, such as wearing shoes when climbing on tight surfaces seemed totally lost on these workers. A soldering iron was used, for example, with the wire hanging partly in water in the picture below. 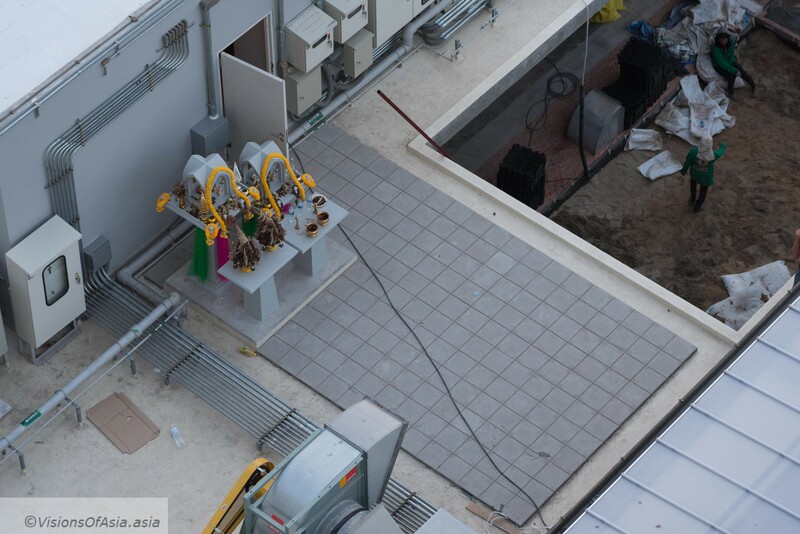 The workers prepare casings where they will let the cement flow. Acrobatics in flip-flops? nothing to shudder about. Nor using soldering irons with the wire hanging in water. Flip-flop workers climbing metallic rods. Thanks to the breakneck pace and the extended hours (7 AM to 10 PM), the construction site moved very quickly, and as can be seen in this picture, where three different floors are being built simultaneously. Sometimes, this breakneck pace ends tragically, when structural issues cause a collapse of the construction. Construction progressed quickly and simultaneously as can be grasped from this picture.. Despite the difficult working conditions and the heat, most of these workers had a good-natured disposition, having fun when they could and often joking among them. And at the core, it had to be a teamwork. 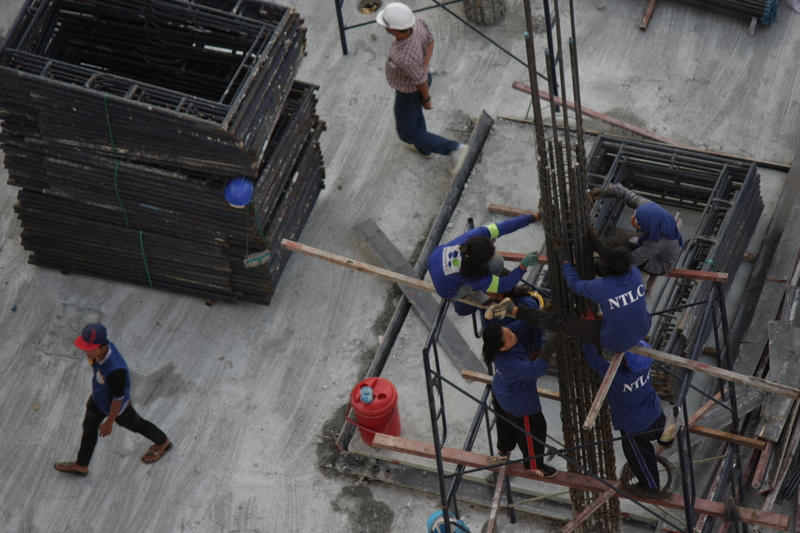 The workers group together to bind the iron rods that will make one of the supporting columns of the building. Towards the end of the building, the main crane was dismounted in favor of a small roof-mounted crane. In order to pour cement, the crane carried a worker who had to action the lever allowing the cement to flow. 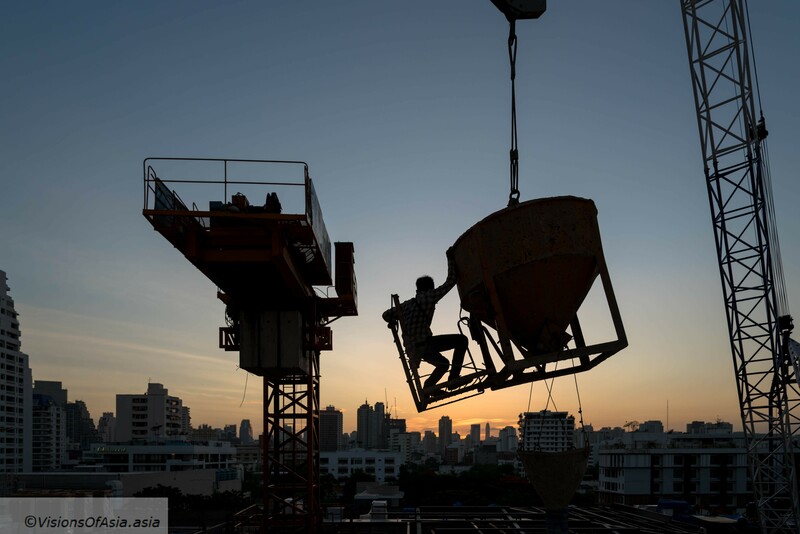 This was the occasion for some spectacular pictures of the worker on the sunset. Of course, even construction workers have smartphones, so these guys dismounting the crane did not miss taking some pics of the scenery. Busy with dismounting the main crane, these two workers still find the time to take a picture of the environment from their high-perched observation point. As the construction neared its end, it was time for a nostalgic picture closing the story. Here, the building was basically completed and the roof was already installed. 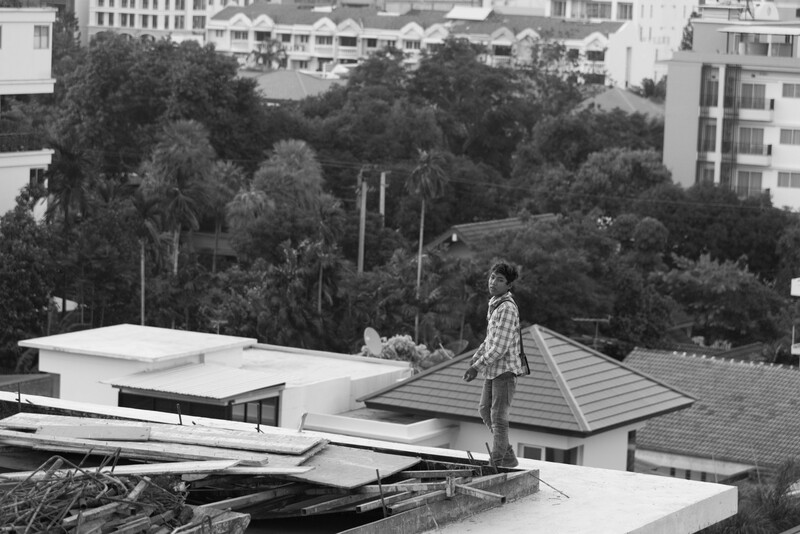 Of course, we are in Thailand, so an important part of the buildup was… installing a spirit house on the roof! After the Commons was almost completed, first thing they did was install a spirit house on the roof. I visited the Commons immediately after it was opened, and it was really remarkable to contrast the finished product with the years of work that preceded. Today, the Commons is a very posh mall and open-air restaurant. Nobody has any idea how this mall was built, nor of the efforts of the workers in building it. It is highly likely that any of the workers of the construction site will never be able to experience this mall, given its steep prices. 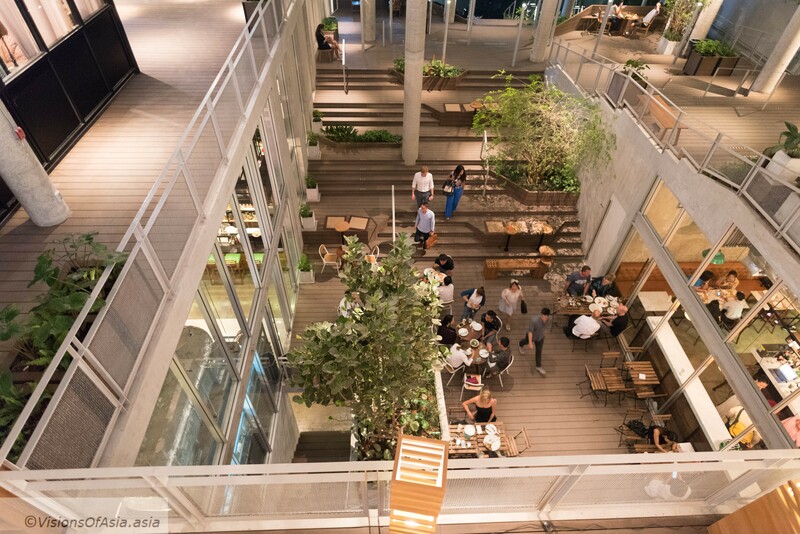 The years of dangerous work were all for this: a fancy eating place for Bangkok’s elite. If this project interested you, please leave your comments and/or feel free to share it. People start a business, then try to make it instagram-worthy. Nahim cafe started the other way around. 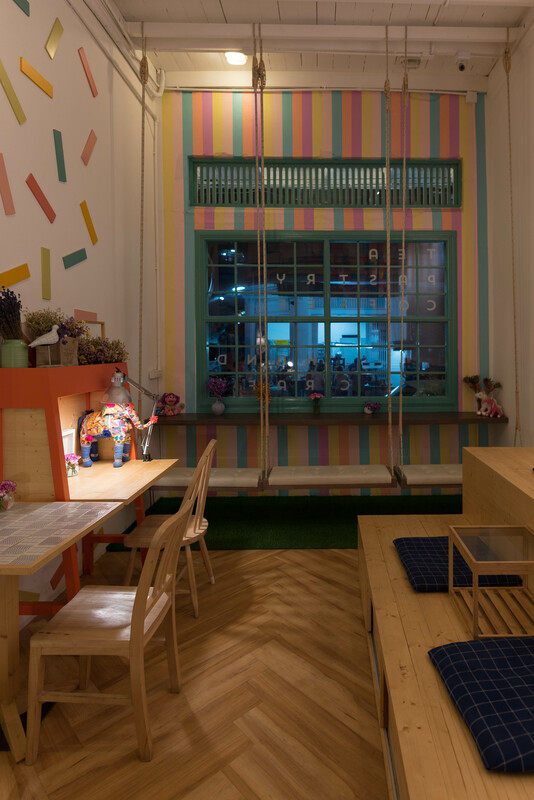 It was originally an instagram handicraft business, before becoming the Nahim café: an instagram cafe in Bangkok. 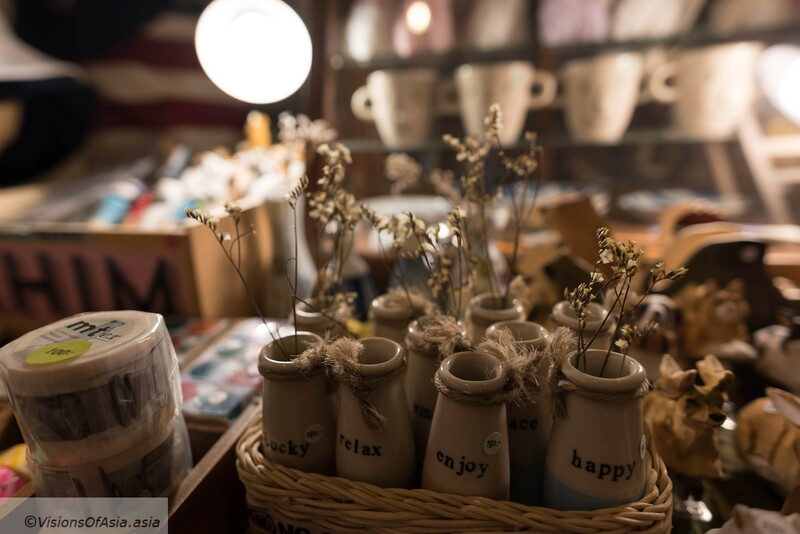 The decoration and the handicraft exposed in the café alone, do justify a visit, and while the food and coffee are nothing to write home about, it has a lovely atmosphere. The name “Nahim” rang a bell with some of my previous readings, but it was only because it sounded strangely similar to “Nahik“, which is a key plot point in the French comic series the “Decalogue”. Which is the occasion of recommending that series, written by Jean Giroud, for the depth of its themes and its elaborate scenarios. The main idea being that a bone piece contains a new set of religious prescriptions written by the Prophet Mohammad which are at odds with today’s Islam. The whole series is based on the people trying to silence that message from getting through from AD 622 to 2001. I am not sure on whether it has been translated in English, but if you can read French, you should definitely give it a try. Returning to the main subject of this post, the handicraft is the main reason for being for this cafe. It is also what gives it a uniquely quaint atmosphere and warm tones. Let us say that this cafe is clearly more pleasing to girls than to men, but nevertheless, it has some lovely items. 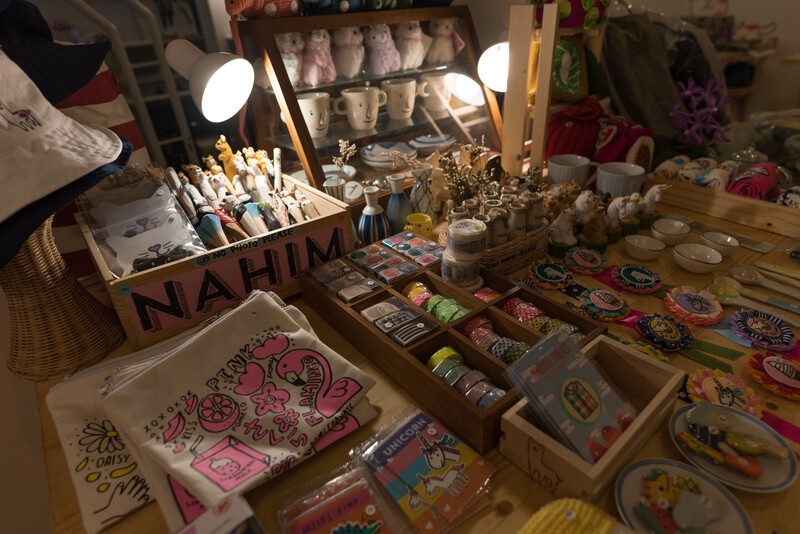 Nahim café offers these items for sale so the coffee and food side is just one part of their business. As this is an instagram café in Bangkok, it is obvious that part of the reason for being there for most Thais is just to have their selfies taken. Obviously, you can see a a “no photo please” as an instagram café attempts to control its own image, but that is self-defeating. Such places have only value for people because of the possibility of taking selfies and pictures of the stuff. No pictures = loss of branding on Instagram. The decoration is also quirky and attempts to make it instagram-worthy. While the food and drinks are comparable to other numerous cafes all over Bangkok, prices are not that cheap (around 100 THB for most dishes or drinks). You are obviously paying your selfie along with the drink. If you are not too much into handicraft and taking a moment off, then, you can give it a miss. Otherwise, don’t hesitate and take a look. It is interesting to see a place evolving from online business to the real world. 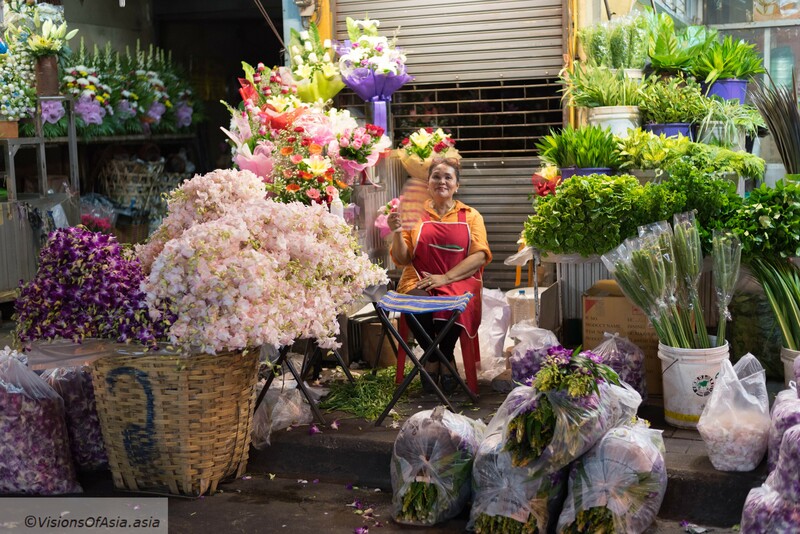 The easiest way is to head to the Hua Lamphong train station and walk from there. You can also visit their Facebook page here. And of course, for an instagram café, here is their instagram: https://www.instagram.com/nahimcafe.handcraft/ . 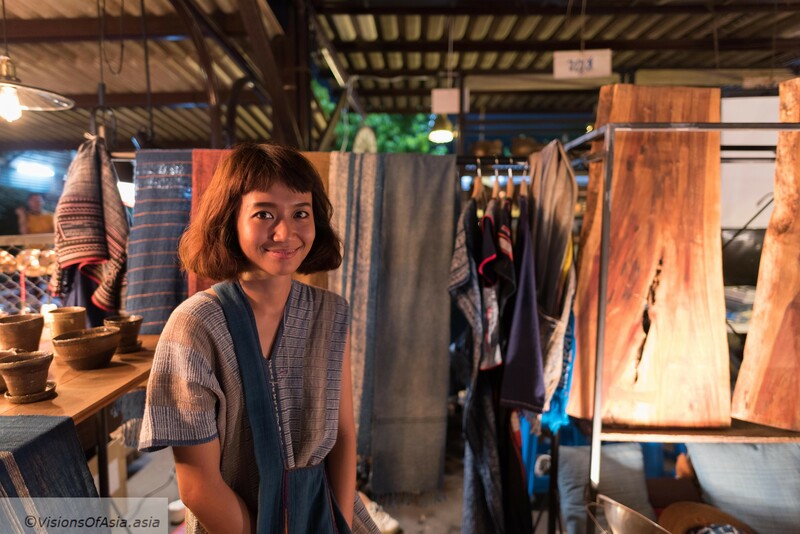 In a previous post, I talked about Wat Sanam Chai, in the province of Suphanburi. 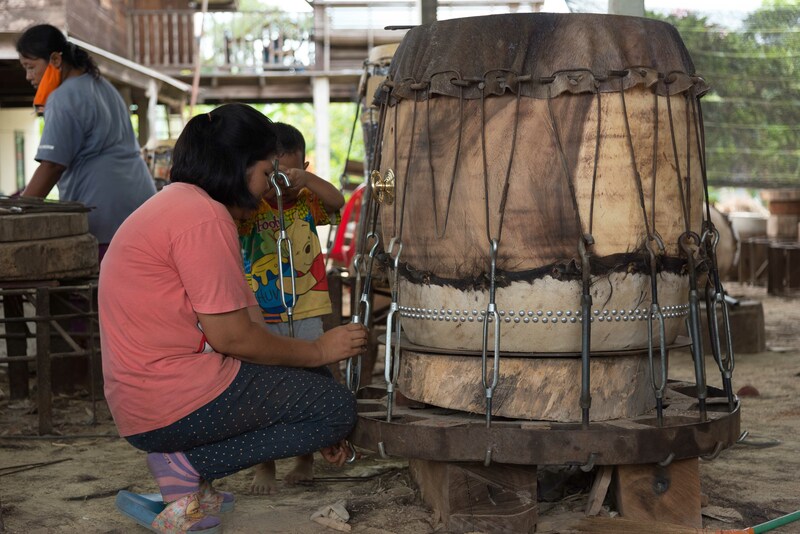 When you are there or in Ayutthaya, it does not take much time, to go to Ekkarat drum manufacturing village. This village is unique in that there are a number of traditional drum-making craft shops which still go on making drums while you visit. An excellent visit outside of the beaten tracks. 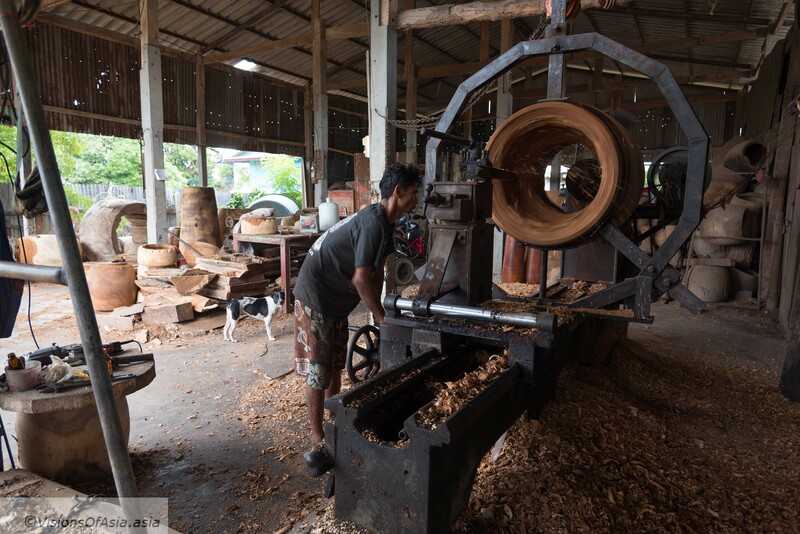 These drums are mainly used in temples or for religious occasions and the local craftsmen are proud to let you see the whole drum-making process. While not very known, it is rare nowadays to still see a traditional craft being performed at various stages of development. During my visit in Ekkarat, back in 2016, I was able to see all the stages of a drum making (ok, not the finition). It all starts with the hide. A large cow hide is stretched on a portico, to let it dry as well as to extend it to its maximum size. If you are lucky, you will see such a hide hung outside to dry. 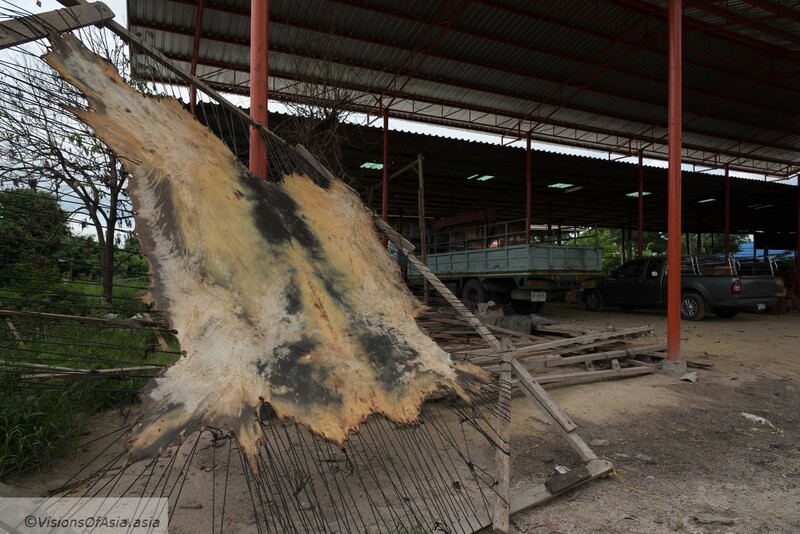 It all starts with a single leather hide of a cow which is extended and left out to dry like this. Obviously, the drum membrane is both thin and dry to give the best sound. ISome smaller parts may be further left to dry for the small drums. While the hide for covering the drum is stretched and extended, the wooden body of the drum is prepared. For the bigger size drums, they use the whole trunk of a tree, which is then hollowed in a single piece on a machine as you can see in this picture. It all starts with taking a single tree trunk and hollowing it on this machine. After the trunk takes its final shape, it is further polished by hand. 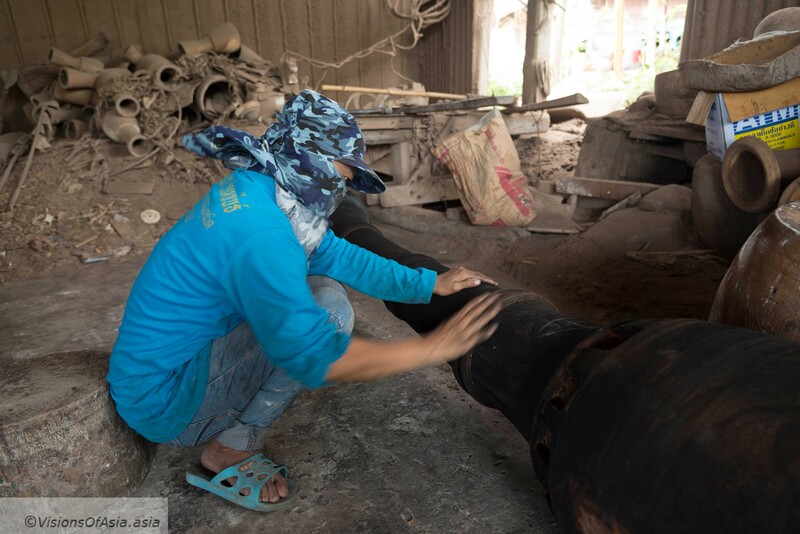 A lady polishes one of the elongated drums by hand. 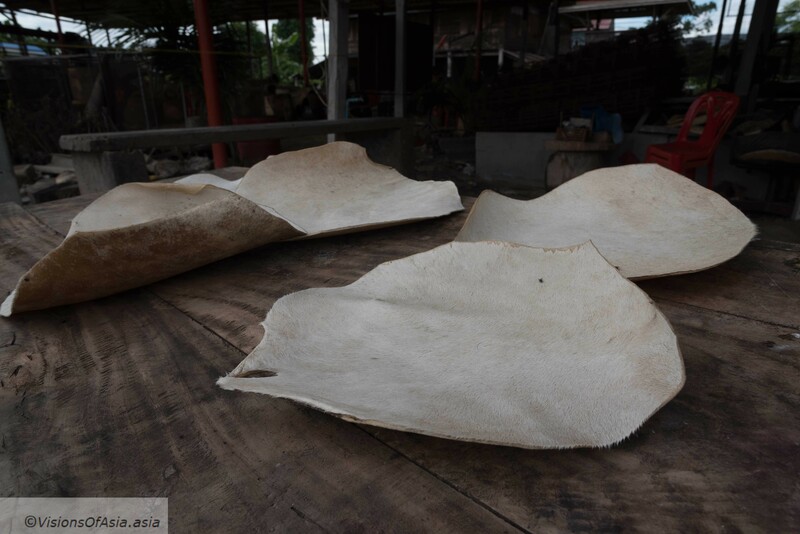 The next important stage is stretching the membrane over the drum and leaving it in that position for some time, in order to avoid the hide retracting once the drum is complete. 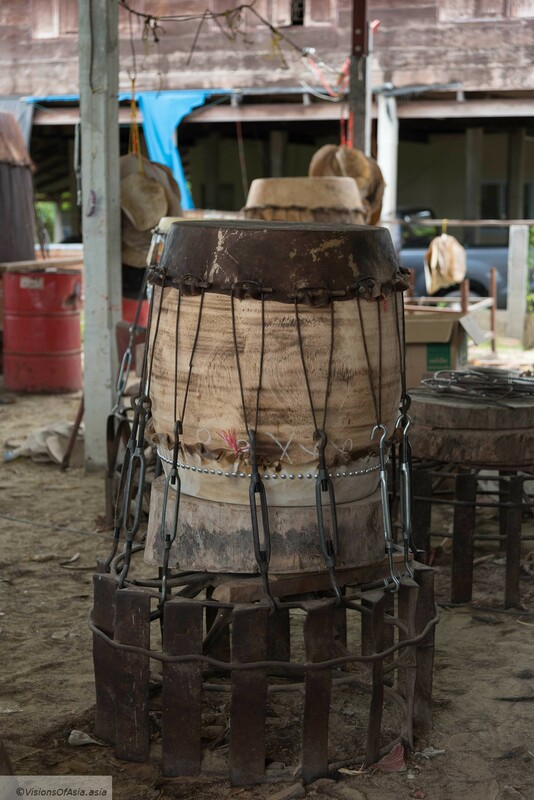 To do that, the drum-makers use metallic contraptions to stretch the hide across and pull it downward. Another important step is pulling the leather hide across the wood. Once this is done, the drum is left to rest for a few days to let the materials take their final form. This drum’s membrane has been stretched and is left to rest. You can see below a short video filmed in Ekkarat in the same shop where these pictures were taken. Obviously, walking you through each step of the process would be meaningless, if you did not have a glimpse to some of the finished products. 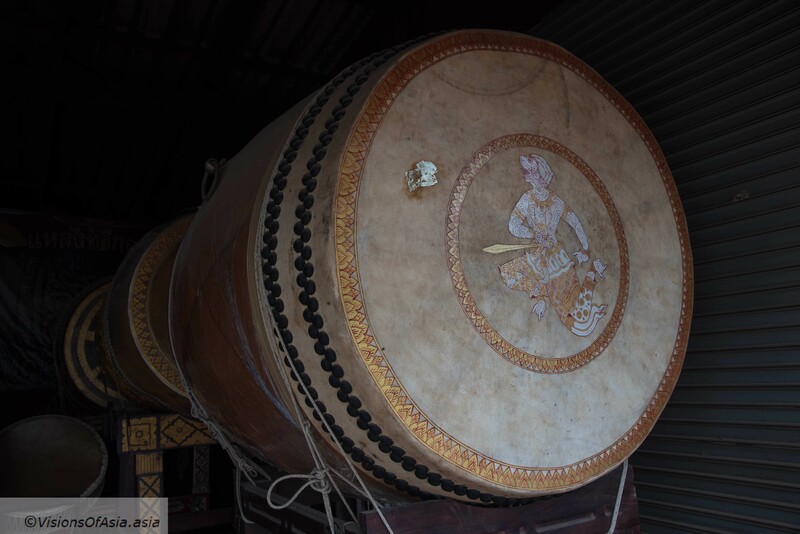 Once the drum is completed, it is painted and the membrane is sometimes decorated as well. This drum is huge, basically man-size, so you have an idea of the tree trunk that was used to manufacture it. At the end, once completed and decorated a ceremonial drum looks like this. In short, if you want to see a glimpse of traditional Thailand, do not miss Ekkarat, it is a worthwhile visit when you are near Ayutthaya or Suphanburi. Ah, now that is the painful part. Getting to Ekkarat drum manufacturing village is as difficult as getting to Suphanburi, in fact. Given that the village is halfway between Suphanburi and Ayutthaya, it might be worth hitting it as a mid-point visit between the two cities. 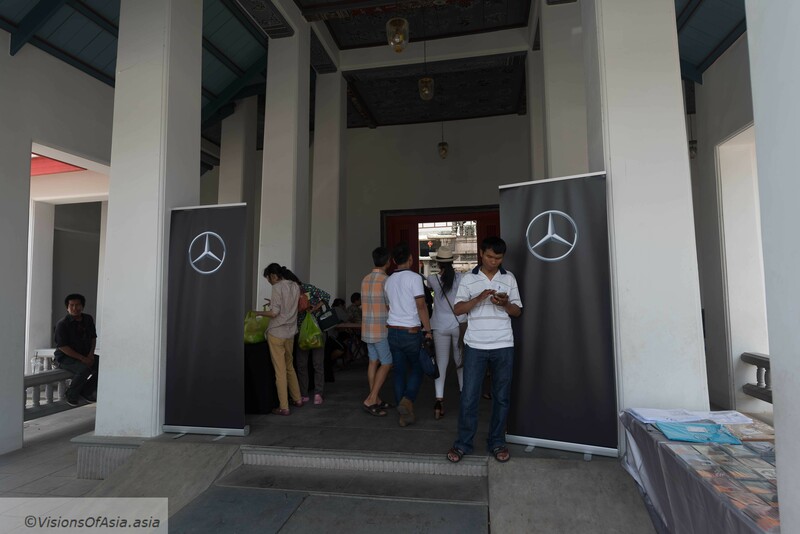 To the best of my knowledge, there is no public transportation that takes you straight from Bangkok to Ekkarat, so the best choice is still a private car or a tour visiting that place. You will find below the google maps location to help you. Finally before leaving, let me introduce you to a video filmed by students showing the visit of the village. If you understand some Thai, you might understand the exchanges going on. 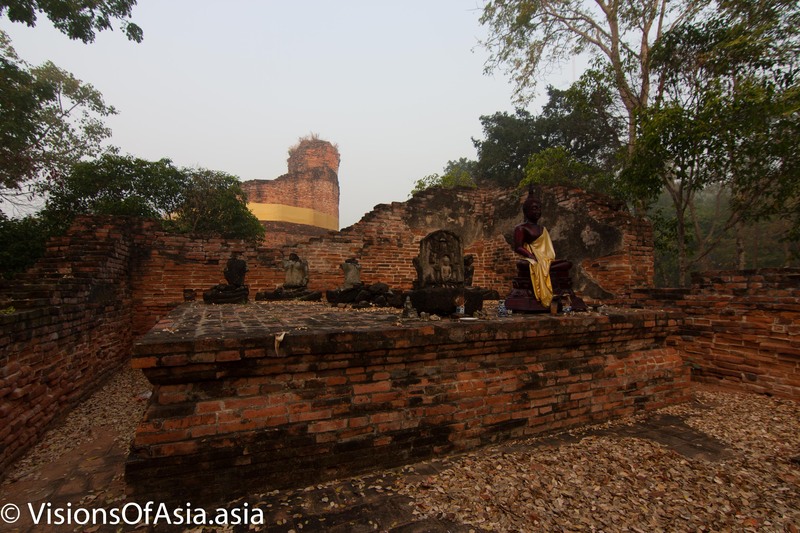 Wat Sanam Chai, a temple in ruins in the city of Suphanburi, is an interesting visit, far from the throngs of tourists in the neighboring Ayutthaya. Suphanburi is a city of historical significance as it is located on the direct pathway for invading armies from Burma. That’s why a number of battles were fought on those grounds, and Wat Sanam Chai is a reminder of one of these battles. 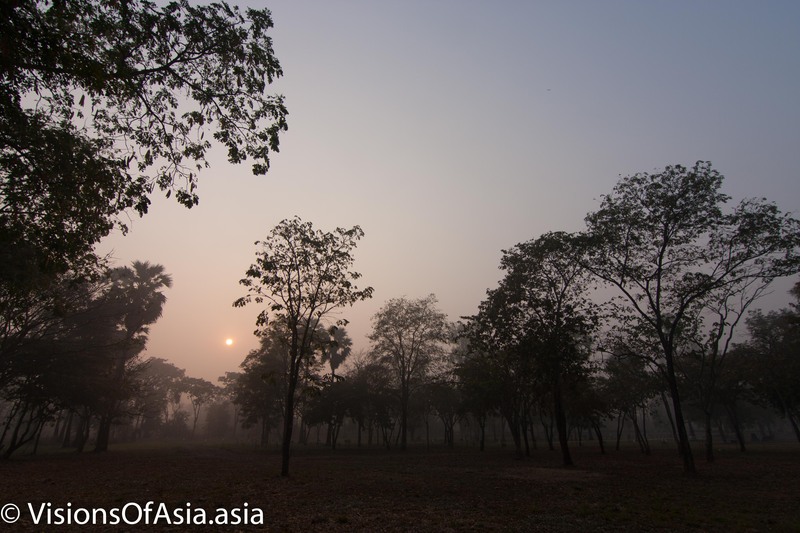 Sun rising in the morning fog is an unforgettable experience at Wat Sanam Chai. Where Ayutthaya has too many tourists for its own good, Wat Sanam Chai appears to be out of time itself. Peacefulness imbues this place, mainly because of its remoteness and the lack of visitors. 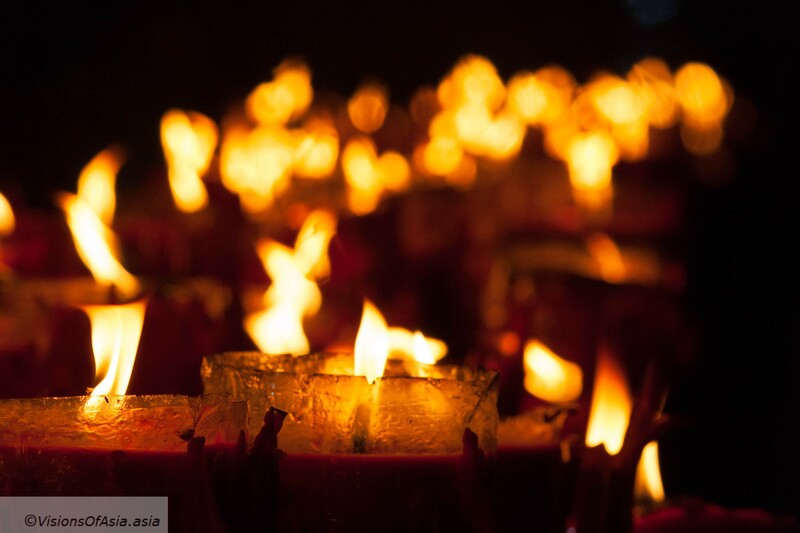 However, the presence of some Buddha statues do remind that this is still a place of worship for Buddhists. You should also remember it is a place of rest where dead warriors lie. Just let the peacefulness imbue you and think about the centuries of history and war about which these ruins talk in their silence. Another Buddha statue located behind the Pagoda itself. 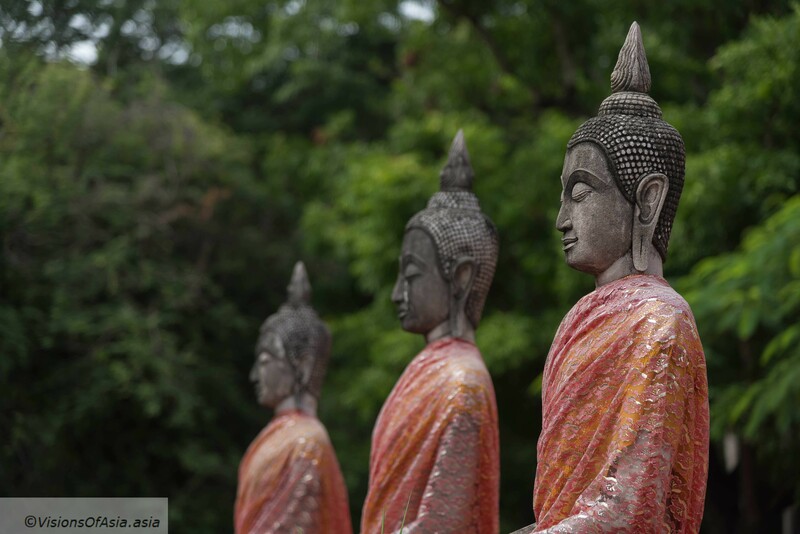 Ideally, this visit would be combined with the artisanal drum-making village of Ekkarat, and a tour to Ayutthaya. 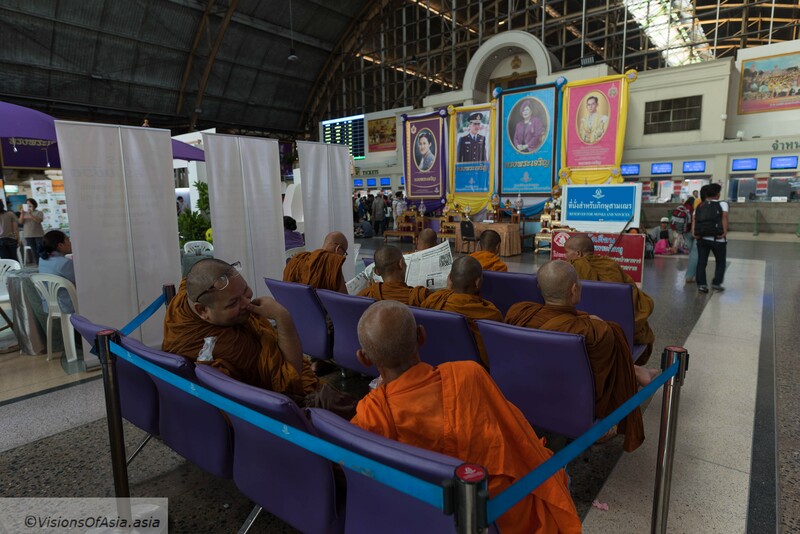 Where some backpackers might be familiar with the Hua Lamphong train station, in Bangkok, most people ignore this wonderful station. It is a rich location for street photography and, depending on the time of day, the colors can be absolutely stunning (see the gallery above). It was recently decided to move that station away to Bang Sue and to transform the current Hua Lamphong station in museum, so I can only invite you to visit it now, as long as it is still in service. Hua Lamphong station’s construction started in 1910, at about the same time that many European train stations were erected. Although railways were still in their infancy, King Rama V launched railways in Thailand already since 1891. At the same time, another Asian power, Japan, also raced to adopt European technology to modernize its society. Of course, the architect building the train station was European too, and more precisely, Italian, Mario Tamagno (more on his creations here). Being Italian, obviously, he permeated his construction with neo-renaissance style (he also built a number of other landmarks of Bangkok, see the link above). 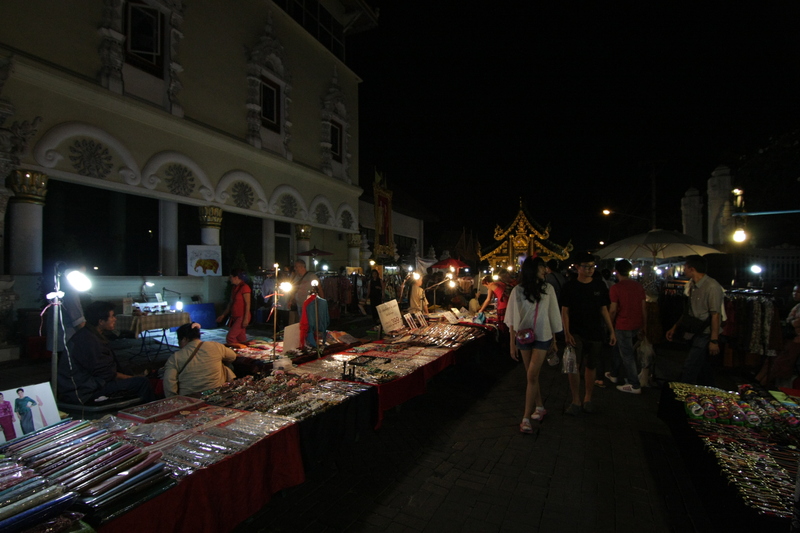 Hua Lamphong is first and foremost a place of passage. While nowadays, planes are much cheaper and more convenient, the train remains the only affordable transportation for country-dwelling Thais. A place where country immigrants land when arriving to Bangkok, or where they transit on their way back to the province, it provides very interesting sights and photographic opportunities. Using black and white also allows to focus on the essentials in a place where there are a lot of directing lines. Focusing on the people in the station can also provide interesting photographic opportunities and cute scenes as this lady fanning her puppy. A lady refreshes a puppy while waiting for a train. The ultimate adventure: taking the train! Finally, if you are ready to face hellish travel conditions, grab a ticket and go for a quick trip to Ayutthaya. While absolutely disastrous in terms of comfort, this provides a very authentic experience, especially if you travel in third class. Be advised however that there is no aircon, and fans sometimes don’t even work. 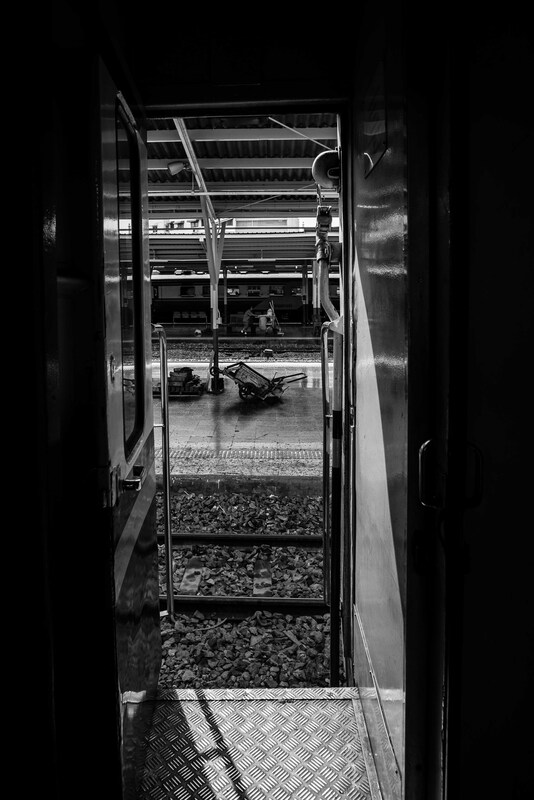 Thailand is moving towards implementing a high-speed train (when, remains to be seen), so these scenes are liable to disappear one day. I would thus invite you to go and enjoy the extraordinary atmosphere in that station as long as it is still there. Either you grab a taxi, or you take the MRT to the Hua Lamphong station, either way, there is no way to be confused. There are other minor stations around Bangkok which are just as interesting, but I will address one of those in a future post. 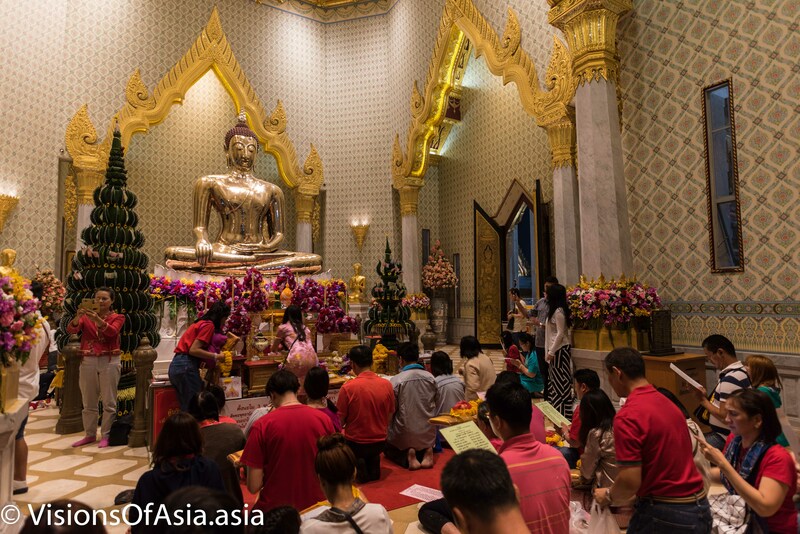 For now, please note that the station is also very close to Wat Traimit, a chinatown temple which features a 2-ton massive gold Buddha statue (more to come soon! ).